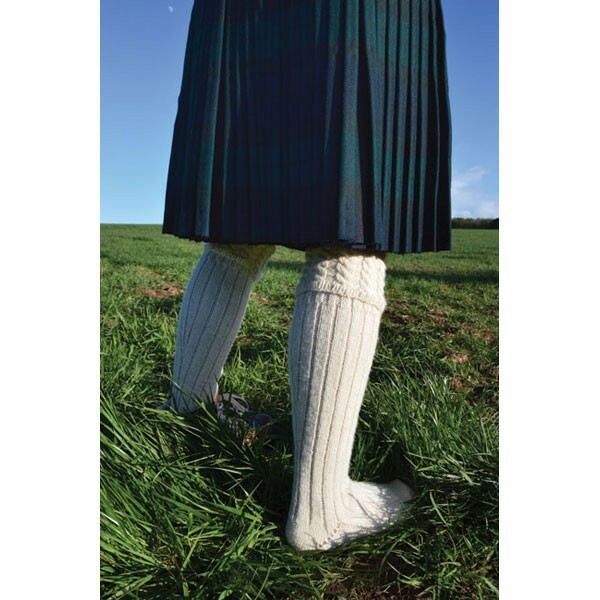 In the Footsteps of Sheep: Tales of a Journey Through Scotland, Walking, Spinning, and Knitting Socks captivated us from the first glance at its striking photographs and the author's beguiling prose. 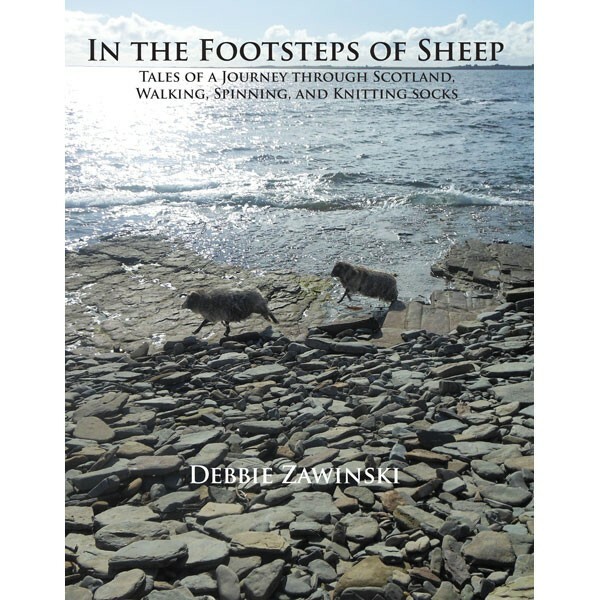 In the Footsteps of Sheep details the completion of a mission the author, Debbie Zawinski, a Welsh-born Scot, set for herself: to travel and camp throughout Scotland, find cast off tufts of wool from 10 Scottish sheep breeds, then spin the wool on her spinning stick while walking (or waiting for ferries), and finally design and knit one pair of socks to represent each breed...all the while writing about her adventures and taking plenty of photographs. 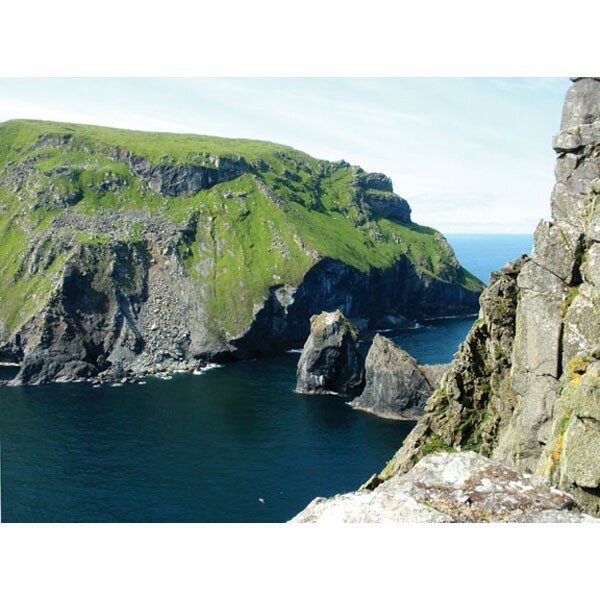 Debbie has written beautifully about her journey; the hills, shorelines, and bogs explored; the sheep and people she met along the way; weather both foul and fair, and a particularly exciting chapter about the intriguing St Kilda archipelago and its feral Soay and Boreray sheep. 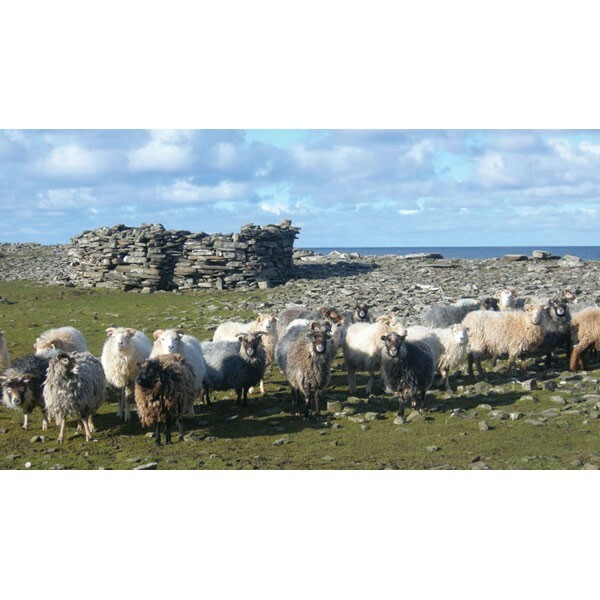 From In the Footsteps of Sheep: "Here there are no barbed wire fences, no roads, no gates with stiff spring catches; this is a land of heather, moorland grasses and sphagnum moss. The sheep and I can walk anywhere, uninterrupted. The upper moorlands of a hill top world like this are wastelands for some, fit only for wind turbines, but I feel free in a way I can experience nowhere else." 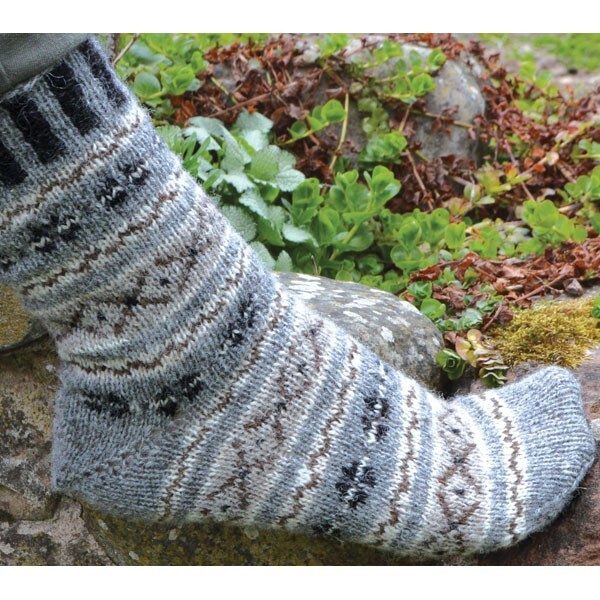 From Felicity Ford, author of Knitsonik: "In the Footsteps of Sheep arrived this morning and you should know that I actually cried for joy just now when I looked through it. What a thoroughly gorgeous and glorious tome, full of sheep and landscapes and knitting with a deeply embedded sense of place. I shall savour every page."